Now in a convenient 6-pack! Like most pet owners you've poked them down, ground them up, hidden them in any number of unhealthy foods and pleaded with your pet to swallow its medication, only to have your pet spit it out, eat everything but the medication, drool and foam at the mouth, and resist you, tooth and claw! Now there is a better way. 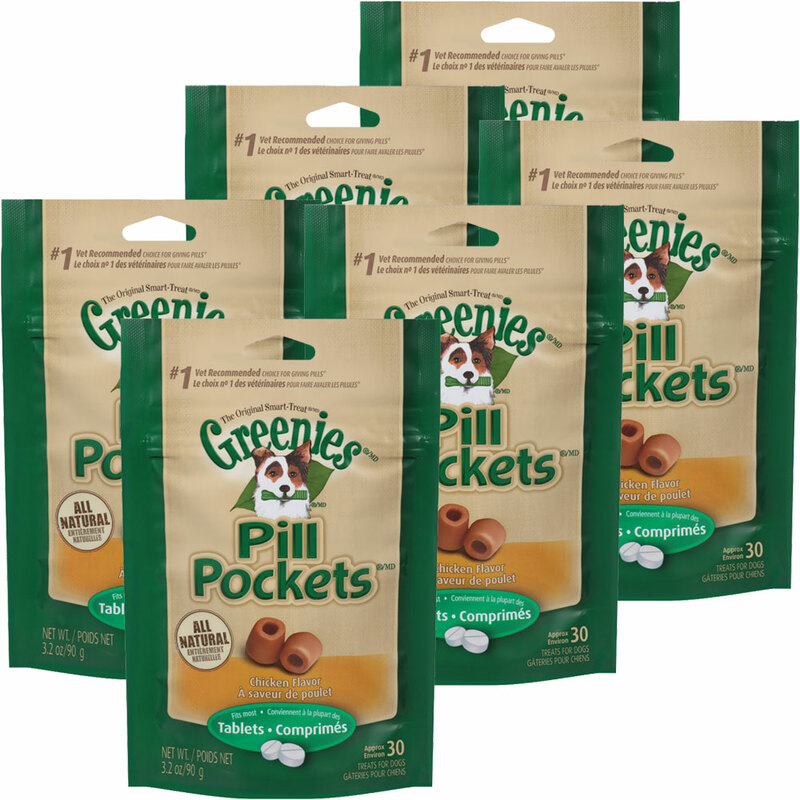 Pill Pockets® are healthy treats with a patented pocket to safely conceal the medicine - it's as simple as that.